1) Marketing is in the product. 2) Growth is centered around the user. 3) New iterations bring optimization. 4) Growth relies on data. How do you choose what you need to put in the development backlog? How do you decide on marketing priorities? 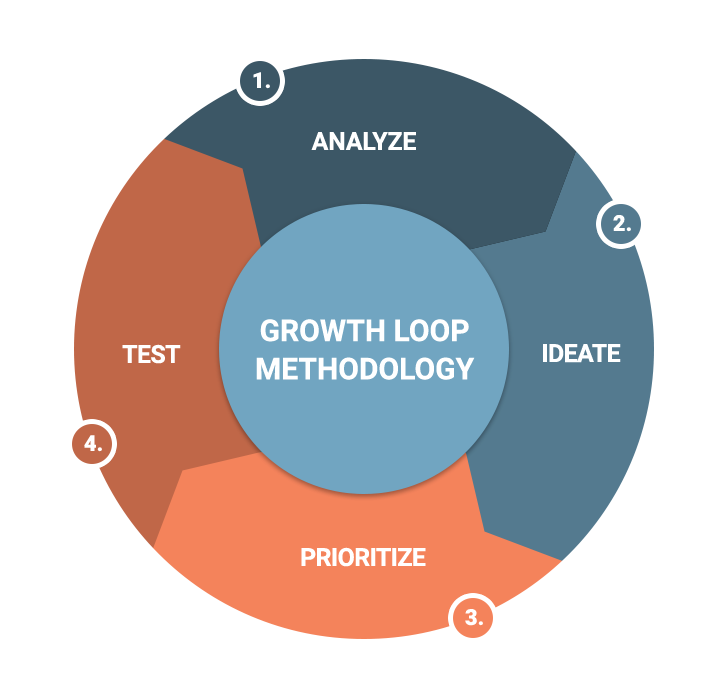 Our four-step approach to growth hacking (analysis, ideation, prioritization, testing) helps you effectively answer these questions. Growth hacking is a fast experimentation approach that generates strong growth. distribution channels: social selling, email marketing, digital marketing, etc. content marketing: blogs, landing pages, user-generated content, etc. The Pentalog Growth Factory teams are at your disposal to help you explore new horizons.